According to scientists, bees know their additions and subtractions. Do you? A recent study found that bees are capable of performing simple arithmetic with small numbers. What’s more, the results baffled scientists that weren’t expecting the little creatures to fare so well in their tests. Guess mother nature proved once more that her sack of surprises is endless. Bees aren’t just good at spelling, they’re also pretty good with math. In fact, they can even solve math problems using addition and subtraction. By studying simple color-coded shapes inside a maze, bees managed to learn how to perform simple arithmetic involving small numbers. What is more, their performance far exceeded expectations. Because they were given two answer options within the various chambers of the maze, it was initially believed that the 14 bees involved in the study would get it right 50% of the time. however, at the end the percentage stood at 65%. This finding is important because it shapes the way in which we understand arithmetic. Mathematical operations require complex cognitive processes, but it seems that a brain with less than one million neurons can do just as well. Therefore, what humans understand as intelligence might not be as inaccessible to animals as we’d like to believe. What is more, bees can apparently understand the concept of zero, which is a rare sight when it comes to members of the animal kingdom. So, the next time you’ll find yourself wondering “are bees smart?”, remember that the answer is “buzz yeah”. Honey bees are some of the most vital tiny creatures that roam around our planet. But why are bees important? Well, they pollinate flowers, fruits, and vegetables alike, ensuring that plants from all over the world grow and thrive. 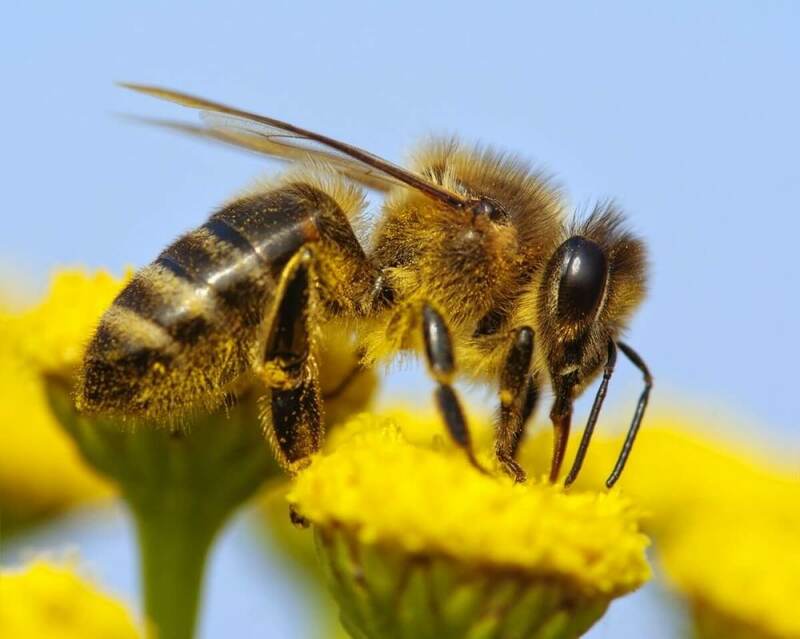 While gathering nectar for the hive to feed on, pollen sticks to the little hairs on their body and is transfer between a plant’s male and female parts. However, these bees that we see on a regular basis are just a fraction of a hive’s social economy. They are workers, or females who haven’t developed sexually. Their main purpose is to provide for larvae, as well as build and protect the hive’s structure. Although they are the most essential cogs in the machine, they live for only six weeks on average. The queen is the only sexually matured honey bee in the community. She lays the eggs and doesn’t do much else. Males are called drones, and their sole utility is reproductive. After their job is done in spring and summer, they are excluded from the hive and left to die during the colder months of the year. Nonetheless, there are plenty more interesting facts about bees besides them being terrifically organized and highly matriarchal. Did you know one single insect has 170 odorant receptors? Yup, their sense is 100 times better than ours. Bees can smell particular flowers and toxins even though they are miles away from them. For this reason, honey bees have been used in cancer research. It seems their accurate and sensory noses can pick up the smell of cancer and help with diagnosis, and they don’t need much to go off of. Just a whiff of someone’s breath, and a bee will instantly know if something is wrong with that person. Check out our news page where we post interesting studies and discussions (sometimes mocking them mercilessly) for more.